Day 9: One of Avon’s all-time favorite products is today’s Free gift feature: Avon Moisture Therapy Set! Your’s with any purchase of $45 or more! Use code: TRIO at checkout! Take your anti-aging routine to the next level! Inspired by Nobel prize-winning research, the Anew Power Serum is designed to detect specific visible damage and deliver maximized results when and where you need it. 1 fl. oz. TO USE: Apply daily on clean, dry skin in the AM and PM: before using your Anew moisturizer. 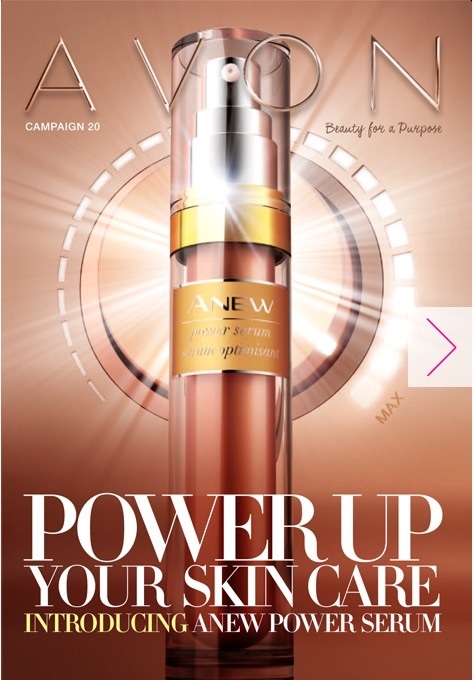 HOW IT WORKS: Easily absorbed in skin, Anew’s ultra-lightweight serum delivers a high concentration of active ingredients.